Market speculation that the US and China could soon see a breakthrough in long-lasting trade tensions left investors selling safe haven currencies on Wednesday, helping the Pound Sterling to Japanese Yen (GBP/JPY) exchange rate to climb. 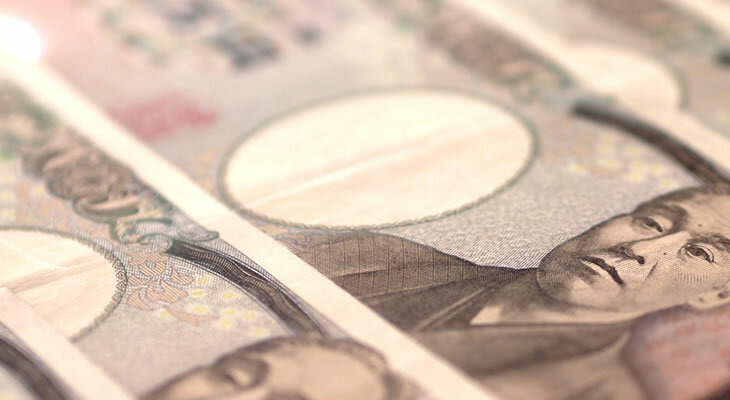 Since opening this week at the level of 144.78, GBP/JPY has trended with an upside bias amid lingering market appetite for the safe haven Japanese Yen (JPY). After briefly touching a weekly high of 145.72 near the beginning of the week, GBP/JPY slipped again. The pair had climbed back over the level of 145.58 at the time of writing on Wednesday though. While Sterling (GBP) lacks much in the way of support in recent sessions amid continued Brexit uncertainties, it has been able to benefit from higher risk-sentiment as investors sell safe haven currencies like the Yen. Despite comments from US President Donald Trump suggesting that the he could introduce more tariffs on US imports of Chinese goods, hopes are rising that the US and China could de-escalate if an upcoming dinner meeting between the US and China Presidents goes well. It’s going to be a bumpy few months for the Pound and the recently finalised UK-EU Brexit deal, as the deal must now navigate some of its final domestic obstacles. Following criticism of UK Prime Minister Theresa May’s agreed Brexit deal from UK MPs in May’s Conservative Party and the allied Democratic Unionist Party (DUP), markets became doubtful that the deal would pass through UK Parliament on its first try. On Tuesday, investors were further spooked by comments from ex-UK Defence Secretary Sir Michael Fallon. Formally an ally of Prime Minister May, he said the plan would be doomed unless parts were renegotiated. However, while markets are currently betting that the Brexit bill will fail to pass through UK Parliament on its first try, economists generally expect the bill will succeed eventually. This is keeping Sterling buoyed. Investors have sold the Japanese Yen this week as market demand for safe havens dwindles. The Japanese Yen is a popular safe haven currency, a currency that is often bought in times of market uncertainty or geopolitical tensions. As such, it has benefitted in recent months from escalations in US-China trade tensions. This has been the primary reason for the Japanese Yen’s weakness this week though, as hopes rise for a breakthrough in US-China trade talks and investors become more willing to sell safe havens and take risks. US President Donald Trump and China President Xi Jinping are expected to meet at a formal dinner during the G20 summit in Argentina at the end of the week. US officials have indicated that President Trump is willing to take a more open stance if President Xi does the same. Hopes for some kind of development have made risky investments much more popular this week. As Pound investors focus increasingly on domestic support for the UK-EU Brexit bill, demand for the British currency is unlikely to shift much in the coming sessions unless there are surprising developments. Pound to Japanese Yen (GBP/JPY) exchange rate movement is more likely to react to developments in US-China trade tensions, as well as upcoming key Japanese data. Friday will see the publication of a slew of notable Japanese ecostats, including Tokyo CPI data from November, October’s Japanese unemployment rate and industrial production results, and November’s Japanese consumer confidence results. Unemployment and consumer confidence stats are likely to be particularly influential. However, as the Japanese Yen is typically more strongly correlated to market safe haven demand, developments in US-China trade tensions are likely to be more influential for the Pound to Japanese Yen (GBP/JPY) exchange rate outlook.